“All Police leave cancelled”…That was the message pinned up to the notice board at Imber Court two weeks ago. The Notting Hill carnival was in town and worried about the risk of a repeat in the “civil disorder” all spare members of the police in London were put on standby. 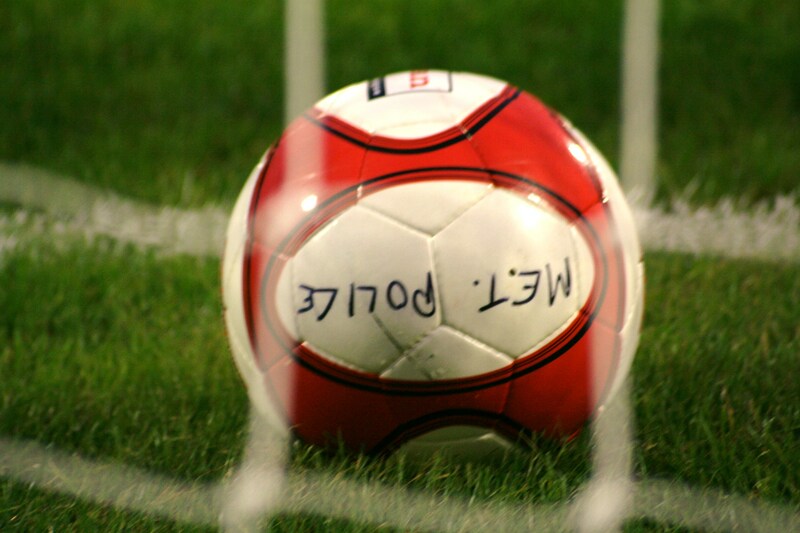 This meant that Met Police’s games versus Wingate & Finchley and Leatherhead were moved. Despite what people may think, there is no longer any requirement for the team to be made up of serving police officers but the administrative staff at Imber Court, the home of the Met Police Sports and Social club are. Met Police are not the best supported team in the league, you may be surprised to know. Last season they averaged 123 and in their opening game this season it was less than 100. The majority of most attendances are away fans. But does that impact the players? Not one bit. They play football at this level because they love the game. 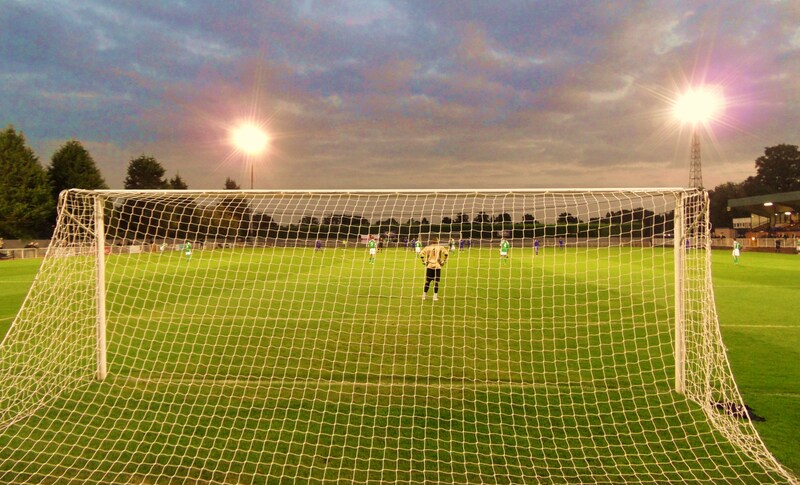 The ground at Imber Court is widely regarded as one of the best in the Non Leagues. With a full time groundsmen and policemen walking around all day they do not suffer the same issues many other clubs have. With the right infrastructure off the pitch, the club are finally putting together a decent side on the pitch. Last season they were promoted from the Ryman South. On three other occasions in the past five seasons they had lost in the final of the end of season play offs, and must have thought their day would never come. But last season they went into the final day of the season knowing that it would take a miracle at Chatham Town, where league leaders Bognor Regis Town were the visitors. Chatham had to get a result and hope other games would go in their favour to save them from relegation. But on that day in April Miracles did happen. Chatham held The Rocks to a draw and Met Police’s 1-0 win at Merstham enabled them to leap over them and win the league on the narrowest of margins (by a goal difference “difference” of 1). 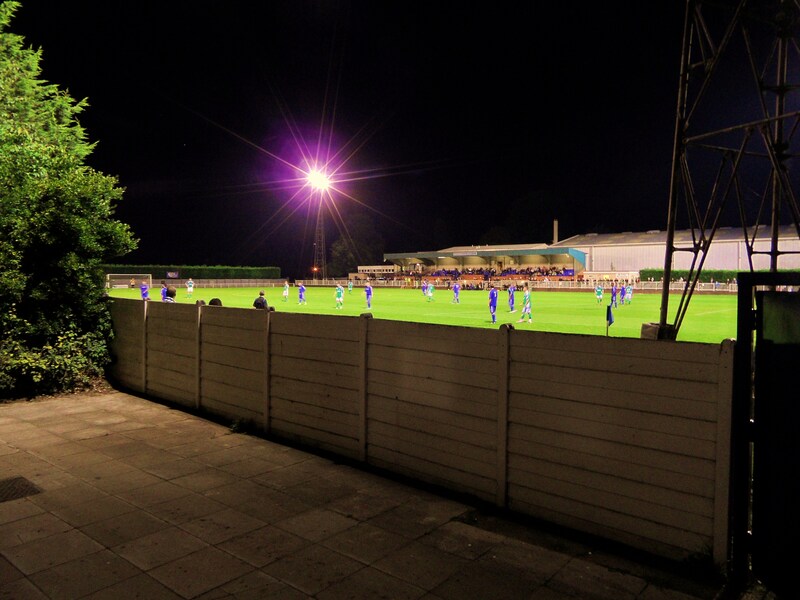 Bognor’s misery was completed a week later when they lost to 5th place Dulwich Hamlet, who finished 31 points behind them. In the play off final 4th place Leatherhead beat Dulwich 4-3 on extra time to join the Met Police in the Ryman Premier. And so just under four months later the two promoted teams were meeting again. Last season they met twice, with the Met Police winning both games. So far this season the Met Police side had won one and lost one (to Lewes) whilst Leatherhead had lost all three of their games so far. It did feel a bit weird wandering through the ground when I arrived. You just got “that feeling” that you were being watched. It is a fantastic venue and away fans will feel very spoilt this season. 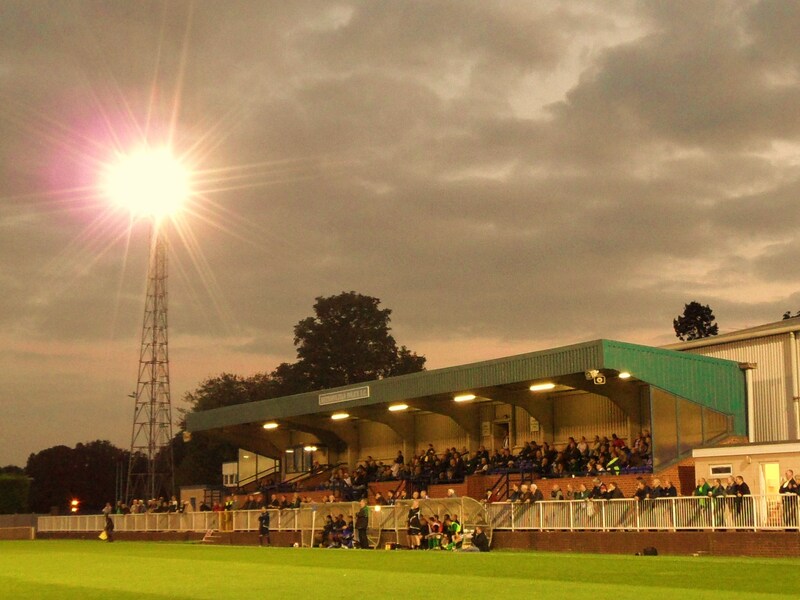 There appeared to be a bumper crowd in, which is not surprising as Leatherhead had travelled all of 8 miles to this game, and essentially it was the only football in the south of England. Rumours spread that the Chairman of the club himself, Desmond Flanders were in attendance too. A high endorsement if there ever was one. Metropolitan Police 2 Leatherhead 1 – Imber Court – Wednesday 31st August 2011 The Tanners miserable start to the season continued after they threw away three points in this game, having put themselves in a perfect position to grab a victory with just fifteen minutes to go. It was certainly a feisty affair with the referee pulling out his yellow card on half a dozen occasions. It could and should be said that one or two of the challenges were worth a red. The game started at a very fast tempo and Met Police should have scored early on when Tyron Smith blasted wide when it was easier to score. But just a few minutes later Met Police did take the lead when Stafforde Palmer beat two defenders on the edge of the area before planting the ball in the corner of the net under a heavy challenge. The rest of the first half seemed to be played out in the Met Police half with the Tanners putting pressure on the home team’s goal. Butler in the Police goal came under significant pressure, not least from a very late challenge by the Leatherhead centre forward some five seconds after he gathered the ball in a Nat Lofthouse style challenge. Some referees would have seen that as a red card offence so he can think himself lucky that it was only a yellow. The second half saw the visitors come out of the blocks attacking, obviously sent out with a flee in their ears from legendary manager Mick Sullivan. They finally got their reward just after the hour mark when Craig Davies smashed the ball home from close range in front of the travelling fans. At this point you wouldn’t put any money on anything bar an away win, but a lapse in concentration ended up costing Leatherhead dear. Tony Finn, the Met Police wide man was allowed far too much space to run at the defenders and before they could commit themselves he was skipping past them. The Leatherhead keeper came out to try and narrow the angle but Finn shot first time, finding the corner of the net with accuracy. Full time brought a collective groan from the Leatherhead fans. This wasn’t the start they had envisaged whilst Met Police can be happy to record their second win in three games. Onwards and upwards. More pictures from the evening’s festivities can be found here.